Today I found fresh green beans in the garden! Of all the vegetables that grow in the garden, fresh green beans have much better flavor and texture than any that are purchased at the supermarket or at the farmers’ markets. Once picked, the beans are immediately soaked in water for about 15 minutes, the put in the refrigerator. If not soaked, the beans tend to dry out very quickly in the dry refrigeration air. When there are too many green beans to consume in a week, they are frozen (blanched, placed on cookie sheets, frozen, then packed into bags for “stick-free” access). The frozen green beans are still better than anything bought, but not as good as when they are freshly picked! 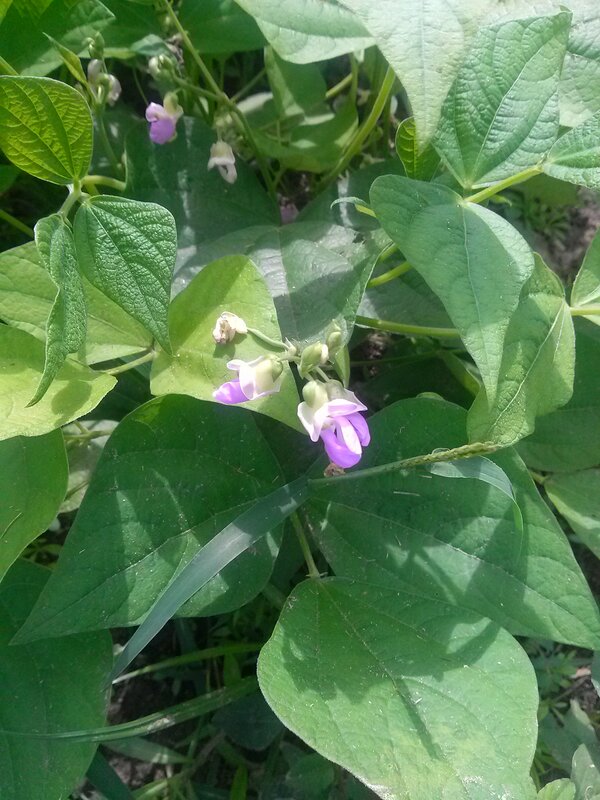 These Contender variety green beans were planted on August 17, 2013, and began blooming on October 4 (picture to left). Today, October 17, 2013, is 60 days since planting (about average for the time it takes to produce green beans). 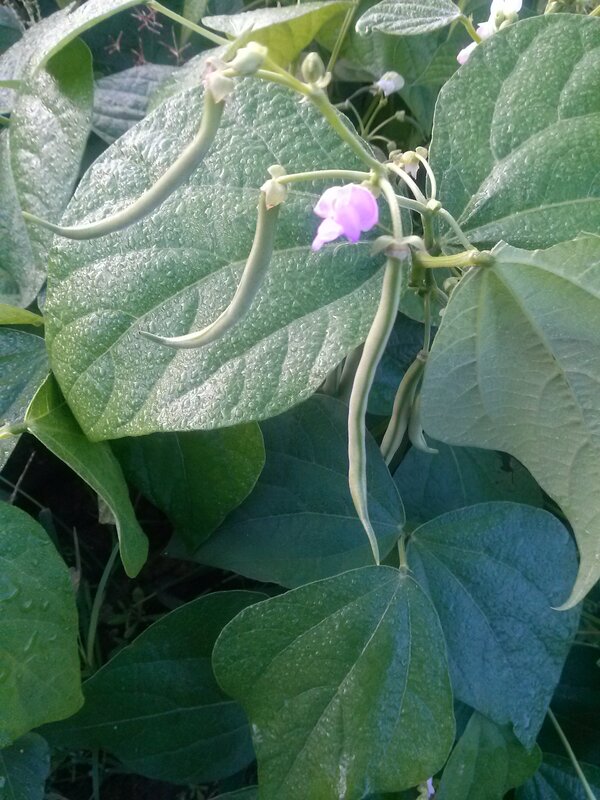 The green beans shown below are not quite ready to pick — center of the picture, towards the bottom, will be picked later today or tomorrow morning — another is visible lower down and farther back in the foliage. There are enough green beans ready (larger than these, but not shown) to have our first green beans of the Fall today! ← Minor Flooding, Lush Greenery, and Calla Lilies!